I did hill repeats on Newport Coast Dr today. 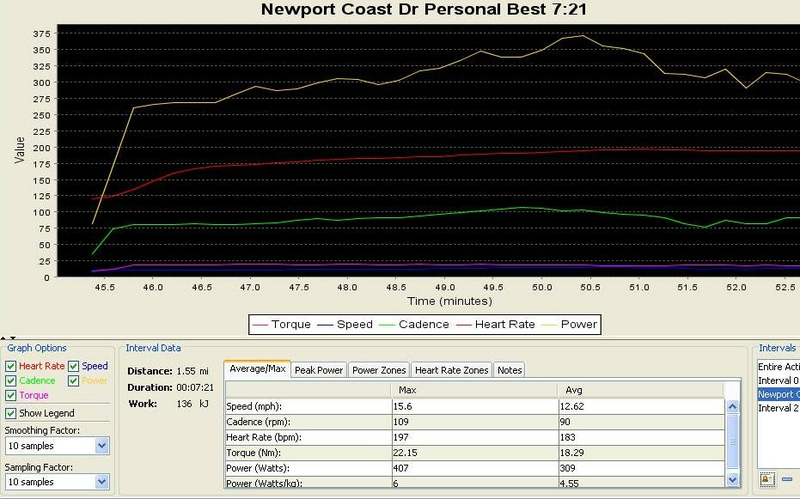 Newport Coast Dr is the local hill riders do their repeats. The grade is a little steeper at the bottom (1/8 mile) and then settles in around 6.5% grade. The hill is 1.5 miles with 450 feet of gain. On one of my repeats (last one) I was feeling pretty good so I “punched it”. 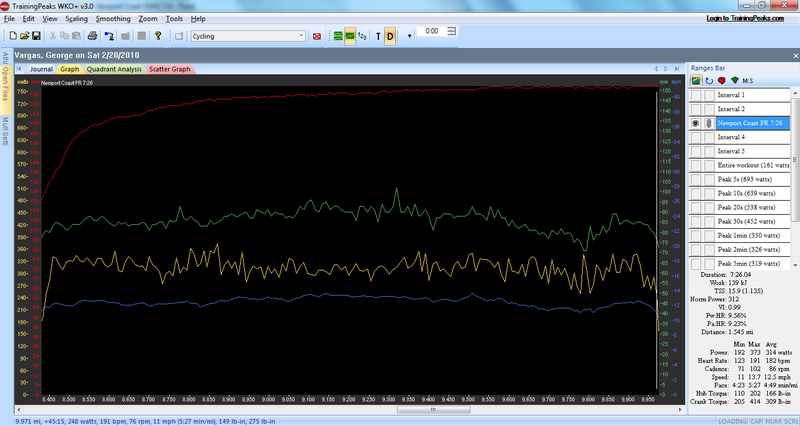 My goal was to hold 310Watts – 320 Watts (held 314W). I thought I had PR’d (Personal Record) but in fact I was about 5 seconds slower. As many of you know my hard drive on my PC is not working so I have to set all new benchmarks. It turns out that 7:26 to climb the hill is actually 5 seconds slower than my actual PR. The climb was a solo effort. I believe I am capable of a faster time if I was with a group of riders. I am hopeful that I will best the 7:21 PR in the coming months. This entry was posted in power training by REV Cycling Directeur Sportif. Bookmark the permalink.